This week's Simon Says Stamp Wednesday Challenge is an Anything Goes challenge using Stampendous products. Sadly, I don't have any Stampendous stamps, but I do have some Fine Detail Clear Embossing powder from Stampendous! So I decided to try out a layered background stamp technique. 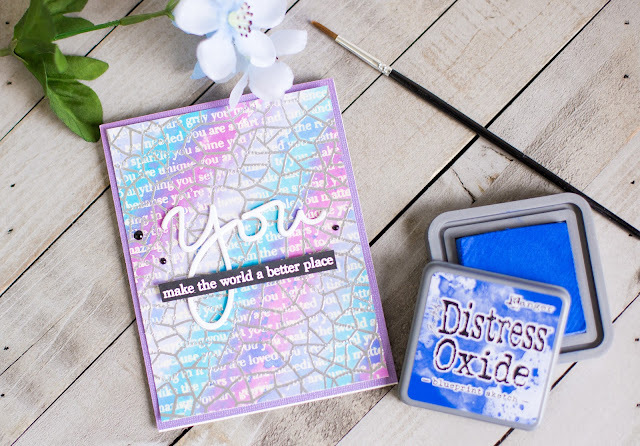 First I stamped and heat embossed a background with clear embossing powder. For the first embossed image I used a script or text background. Next, I stamped an heat embossed an image background. I chose images with large bits of white space so you would be able to see the text in those openings. I used Black Versafine ink and clear embossing powder for one and clear embossing ink with silver embossing powder for the other. If you are interested in the products I used, they are all linked down below! Thanks for stopping by!